Let's go down the rabbit hole and see how incestuous and scuzzy this whole enterprise really is. On Thursday evening, MSNBC anchor and liberal media darling Rachel Maddow caused a small stir when she ended the network’s highly-acclaimed Democratic Presidential debate by hugging the two candidates, Bernie Sanders and Hillary Clinton. After receiving some side-eye from her conservative rivals at Fox News and other outlets, Maddow dismissed the criticisms by claiming that she was just a “hugger” who would have embraced Republicans if given the chance to moderate one of their debates. While the whole situation seems innocuous enough, and as an opinion host Maddow clearly wears her views on her sleeve, it helps to prove that our national media landscape is so utterly co-mingled with the political establishment that one can hardly tell when one begins and the other ends. When it comes to cable news and political media, it all about maintaining access, creating chummy relationships and laying the groundwork for your next position, whether that’s as a ‘journalist,’ a lobbyist, a strategist or an elected official. Looking at those employed at the major media outlets, what we see is a network of relatives, spouses, friends and former/current politicians all cashing checks while they pretend to give us analysis, coverage and educated opinion. Meanwhile, current lawmakers, political staff members and candidates made their way to their jobs by posing as journalists, reporters or pundits. Let’s go down the rabbit hole and see how incestuous and scuzzy this whole enterprise really is. Whether it’s MSNBC, Fox News or CNN, you can hardly get through a program without seeing someone who is a relative of some well-known politician. Perhaps the most well-known example of this isChris Cuomo, host of CNN’s New Day. 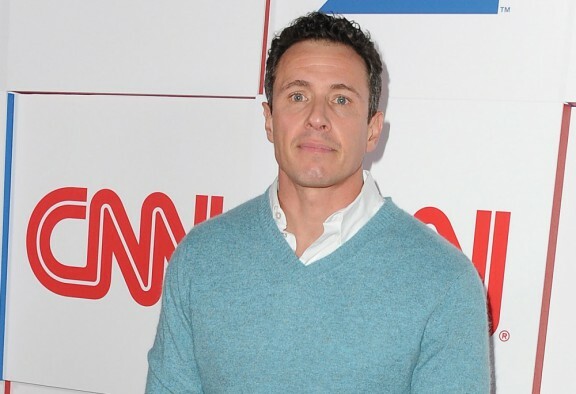 The brother of current New York Governor Andrew Cuomo and son of former NY guv Mario Cuomo, Chris has been able to parlay his family connection into jobs with 20/20, Good Morning America, MSNBC, Fox News and now CNN. Go over to MSNBC, and you see Morning Joe co-host Mika Brzezinski, the daughter of former National Security Adviser Zbigniew Brzezinski. She’s even had her dad on the show a few times. She’s hardly the only relative of a political figure on the network. Morning news anchor Jose Diaz-Balart, who also works for Telemundo, is the brother of Republican Congressman Mario Diaz-Balart and former GOP Rep. Lincoln Diaz-Balart. Over on Fox News, Abby Huntsman, the daughter of former GOP Presidential candidate and ex-Utah Governor Jon Huntsman, currently serves as a reporter and fill-in host for the network. The 29-year-old was a political commentator for ABC News while her dad ran for the White House in 2012. She moved on to a job with MSNBC as co-host of The Cycle before being hired by Fox. Fox has another daughter of a failed Republican POTUS candidate on the payroll in Meghan McCain. The daughter of Sen. John McCain, the 31-year-old sits in on the panel of Outnumbered on occasion and shows up elsewhere as a contributor. This follows up stints with The Daily Beast and MSNBC, along with a syndicated radio show. I’d be remiss if I didn’t mention Chelsea Clinton, daughter of Hillary and Bill Clinton, who had a job with NBC News from 2011 to 2014 as a ‘special news correspondent.’ She left to ostensibly work with the Clinton Foundation, but more likely due to her mother closing in on a run for the White House. Beyond familial relations, we also have a number of situations where reporters and hosts are married to or dating big wigs in Washington or other elected officials. That tends to take away the notion of objectivity, especially for those who pretend to be involved in ‘straight’ news. The most notable example is Andrea Mitchell, NBC News Chief Foreign Affairs Correspondent and host of MSNBC’s Andrea Mitchell Reports. Since 1997, Mitchell has been married to Alan Greenspan, former Federal Reserve Chairman Alan Greenspan. Their marriage was presided over by Supreme Court Justice Ruth Bader Ginsburg. Fox News’ Kimberly Guilfoyle, who regularly co-hosts The Five, was previously married to current California Lieutenant Governor and rising Democratic star Gavin Newsom. ABC News senior national correspondent Claire Shipman is married to Jay Carney, former White House Press Secretary who worked for CNN after leaving that post and now shows up quite a bit on ABC’s This Week as a panelist. This is probably where you see the most cross-mingling of media and politics. There are literally dozens of former staff members, Congress critters and other D.C. hangers-on who have transitioned their insidery statuses into lucrative media careers. While most of these are given the title of ‘contributor’ or ‘commentator,’ many have actually been provided with their own programs. Topping this list is Joe Scarborough, Mika’s cohort on the aforementioned Morning Joe. The three-term Republican Congressman first joined MSNBC in 2003 as host of Scarborough Country, a primetime show that ran until 2007 when he jumped to weekday mornings. Since then, he’s occasionally floated the idea of tossing his hat back into the political ring, whether it was hinting at a Presidential run a year or so ago, or considering the thought of being Donald Trump’s Veep. Joe has tons of company at MSNBC, which seems to be the preferred home of former or out-of-work politicos. 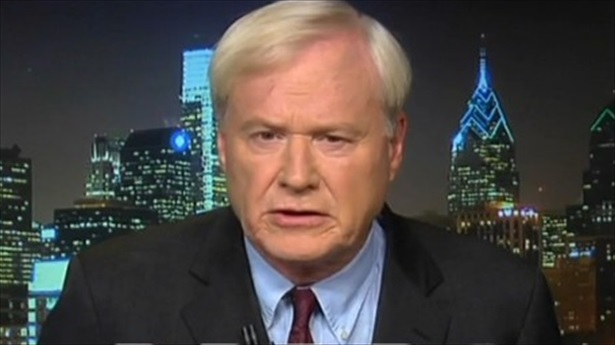 Chris Matthews, host of Hardball, will fill his listeners’ ears with his old Washington tales, as he served on numerous Congressional staffs in the ’70s, wrote speeches for Jimmy Carter and was ex-Speaker of the House Tip O’Neill’s chief of staff. The Last Word’s Lawrence O’Donnell was an aide to Senator Daniel Moynihan in the ’80s and ’90s and staff director to Senate committees during that time. Current Hillary Clinton communications advisor Karen Finney, who previously worked for Clinton as her press secretary and the Democratic National Committee as Director of Communications, hosted a show on the network for a while and also showed up as a contributor. Fox News has given ex-Bush Press Secretary Dana Perino a job as co-host of The Five. She also makes other appearances on the network. They previously employed Bob Beckel, Walter Mondale’s campaign manager during his 1984 White House run. Beckel also worked in the State Department in the ’70s and, after the Mondale campaign, ran a lobbying firm. He currently works for CNN as a political analyst. Apparently, on the cable networks, the feeling is that we need to hear both sides of any political discussion, and what better way than getting people who were previously paid to push their opinions in order to win elections to present the party positions. Therefore, we see familiar (and not so familiar) names taking up air space delivering worthless pap that we’ve already heard during talking point-laden interviews and press conferences. On Fox, we are presented with Turd Blossom himself, Karl Rove, even though the former Bush’s Brain is currently running Super PACs in an effort to influence and buy elections for Republicans. Yet, he is presented as a political analyst. MSNBC will toss on former Vermont Governor and 2004 YEEEAAAHHH Champion Howard Dean to talk about this year’s race, even though he is acting as a surrogate for Clinton and working for a lobbying firm. CNN will toss out Amanda Carpenter as a political commentator, despite the fact that she is actively cheerleading for Ted Cruz due to her work for him as a senior communications director. Donna Brazile, who ran Al Gore’s 2000 White House campaign and briefly served as chair of the DNC, holds a position with the network as a senior political commentator. Seriously, this is an area we can go on and on and on…and on and on and on. From Ari Fleischer to Bakari Sellers to Harold Ford, Jr. to John Bolton to Michael Steele to Steve Schmidt to Nicolle Wallace, you can’t turn on one of the networks without seeing a denizen of Washington filling up the screen. Another thing to take note of is the back and forth you see between reporters and pundits running for office. Sometimes, it is a situation where a person loses an election and just needs a job for a bit, so they go running to one of the cable channels for a paid contributor spot. However, we also see situations where a so-called journalist thinks they can jump into a race. So far in this general election season, we’ve seen three former Fox News employees toss their hat in the ring, with two still chugging along. Mike Huckabee, who recently dropped out after doing poorly in Iowa, had a weekend Fox News program for seven years prior to announcing his candidacy. He was hired by Fox after his 2008 White House run. Meanwhile, both Ben Carson and John Kasich were commentators for the network for a bit before entering the race. Krystal Ball, formerly of MSNBC, tried her hand at politics in 2010 when she launched a failed Democratic bid for a Virginia Congressional seat. Fox’s Geraldo Rivera briefly flirted with the idea of running for Senate in New Jersey as a Republican in 2013, but eventually decided against it. Fox let ex-Sen. Scott Brown (R-MA) work as a contributor for the network after he lost to Elizabeth Warren in 2012. He eventually quit when he unsuccessfully ran for Senate in New Hampshire against incumbent Jeanne Shaheen in 2014. Finally, we get to those who are just close friends to the people they are supposed to be covering, coming full circle to the intro of this piece regarding Maddow and the Dems. Basically, aside from CNN’s Anderson Cooper and maybe Jake Tapper, MSNBC’s Richard Engel and Fox’s Shep Smith, everyone you see on cable news has a chummy relationship with several Washington figures and political heavyweights. For all his bluster about being an ‘outsider,’ current GOP White House hopeful Donald Trump considers a number of well-known news personalities friends of his. Rush Limbaugh, Bill O’Reilly, Sean Hannity and Joe Scarborough all labeled as close personal buddies of The Donald. The celebrity billionaire also hosted a weekly segment on Fox & Friends before running for President, and still shows up on the program more than once a week. Joe and Mika also have publicly noted how they both consider New Jersey Governor and Republican POTUS candidate Chris Christie a personal friend. In fact, it pained them when their network was the one breaking the whole Bridgegate fiasco, considering the great lengths they went to giving Christie tons of free airtime, hoping it would help his 2016 ambitions. Mitchell makes no secret how close she is with Hillary Clinton. She’s even gone so far to come to Clinton’s defense regarding Benghazi. Interviews she’s had with Hillary come across as two old chums reminiscing about the good ol’ days. Of course, when you’re married to Greenspan and can have a Supreme Court judge do your wedding, these kinds of things happen. As for Fox News, Republicans actually get pissed when one of the hosts presses them too much on one of their talking points, figuring they had this all taken care of at the latest cocktail party or steakhouse dinner. Again, this election season has helped to expose the sordid, incestuous, wholly improper relationship between Washington and the fourth estate that’s supposed to provide sunlight to the goings on there. But it isn’t like the networks will be shamed to change their ways, regardless of how unseemly it all is.